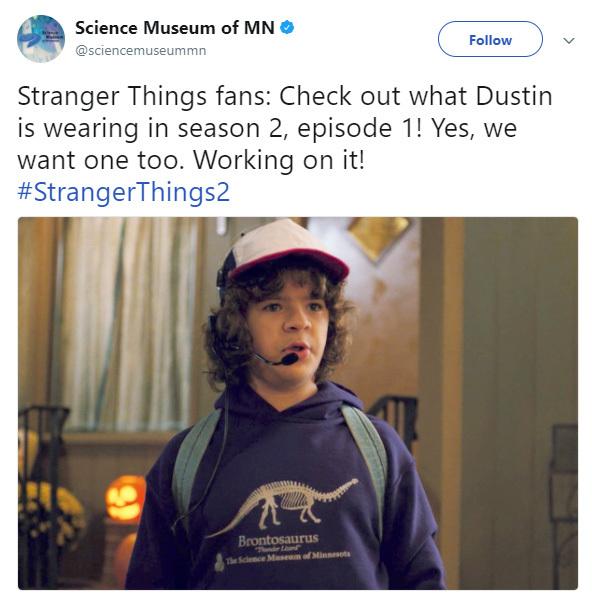 In the first episode of the new season of “Stranger Things”, Dustin (Gaten Matarazzo) can be seen sporting a purple dinosaur hoodie that features a logo from the Science Museum of Minnesota. 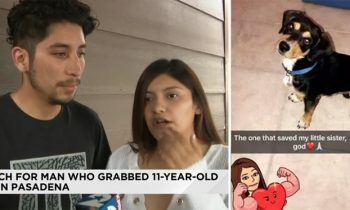 That hoodie was first available from the museum’s Explore Store in the early 80s, but employees began to think about selling it again as calls, emails and social media posts poured in asking about it, according to a news release by the museum. 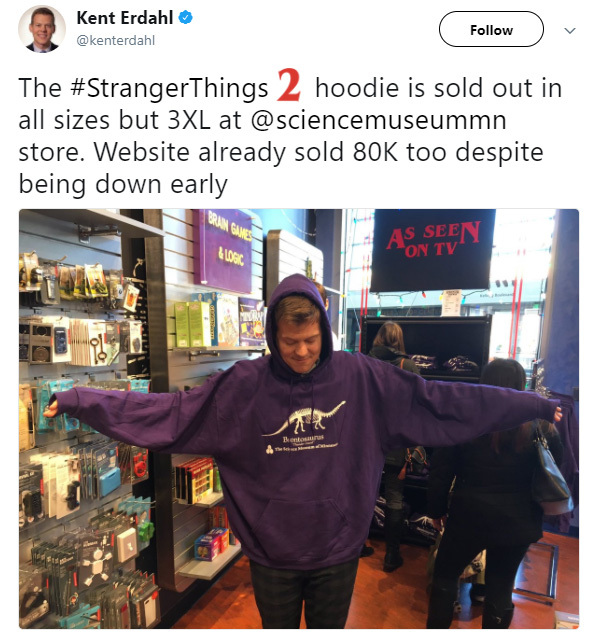 At 8 AM Tuesday, the museum began selling purple sweatshirts, crew necks and t-shirts with the same “Brontosaurus” and “thunder lizard” text and image of a dinosaur. Shortly after opening sales online, the museum’s website crashed. 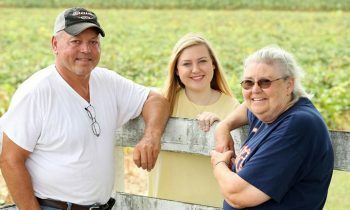 It was back up again by 11 a.m. By 4 p.m., they had sold 10,000 items for a total of $400,000. The apparel was sold in their store in addition to online, and the store sold most of its inventory by noon, according to the museum. The good news is that the proceeds will go to science and education.